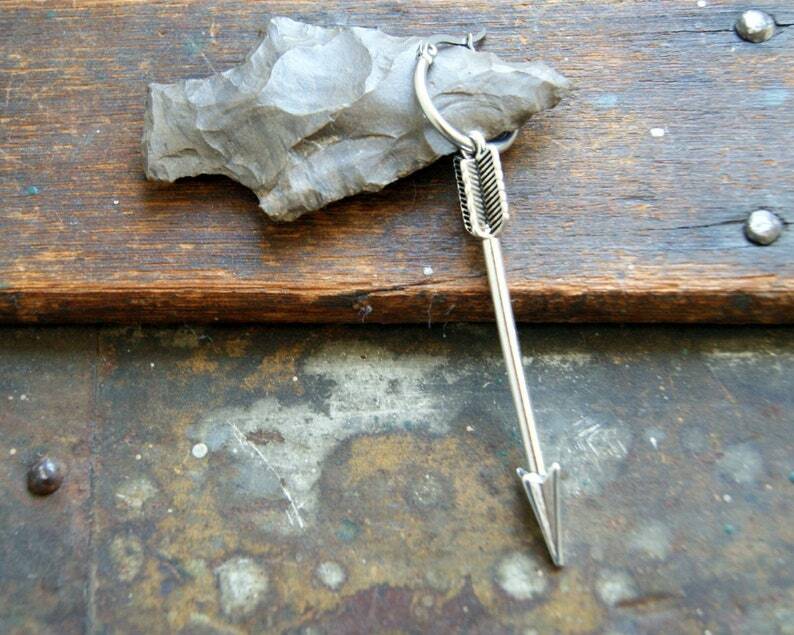 A large single 3-D antiqued silver arrow, measuring 2 1/2", hangs from a stainless steel hoop with a latch back closure. The hoop measures 19 mm (about 3/4"). 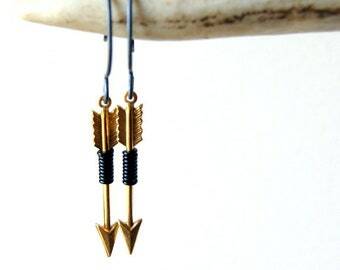 The arrow is a zinc allow metal that is nickel and lead free and beautifully detailed! Overall length: 3 1/4". You also have the option to remove the arrow and wear the hoop by itself.